Say the name Missoni and the trademark colourful stripes probably come to mind, but it’s a little known fact that the Missoni dynasty is also associated with award-winning wine-making. Elisabetta Missoni is behind the Foffani wine label that she produces with her husband Giovanni Foffani. The Azienda Agricola Foffani, built in the 16th century and now protected by the Italian Ministry of Fine Arts, is part of the old family estate in Clauiano, Friuli. Wine production dates back to 1789. The name Clauiano comes from Claudiano, meaning Claudian, and the property was given to the emperor Claudius by the Patriarch of Aquileia around 1AD. Today, Clauiano is located in the extreme north of the Aquileia DOC wine area with the vineyards spread across 10 acres. Right across from the grounds of the house, they are planted on soil composed of rich clay, stones and sand which is typical of the Eastern Friuli region. High density plantation, Guyot pruning and green harvesting assure optimal grape maturity. Giovanni Foffani had a successful career in international finance, cultivating his wine hobby on the side, but over the past 20-25 years he has dedicated more and more time to the azienda. Now he has abandoned his financial work to concentrate exclusively on producing top-quality wines. Elisabetta Missoni, in turn, was a successful fashion PR manager in Milan where she still keeps a studio today. Whilst Giovanni concentrates on the actual wine production, Elisabetta deals with public relations and customer services. She is also responsible for organising annual events and demonstrations. That passion is very much in evidence even today - it lies at the heart of the Azienda Agricola Foffani, where business and friendship merge seamlessly over a glass or two of their DOC wines. Clients are predominantly American and German. Giovanni’s previous contacts in investment banking in the States led to contacts in the wine industry and Elisabetta’s fashion contacts in Germany led to direct distribution there. 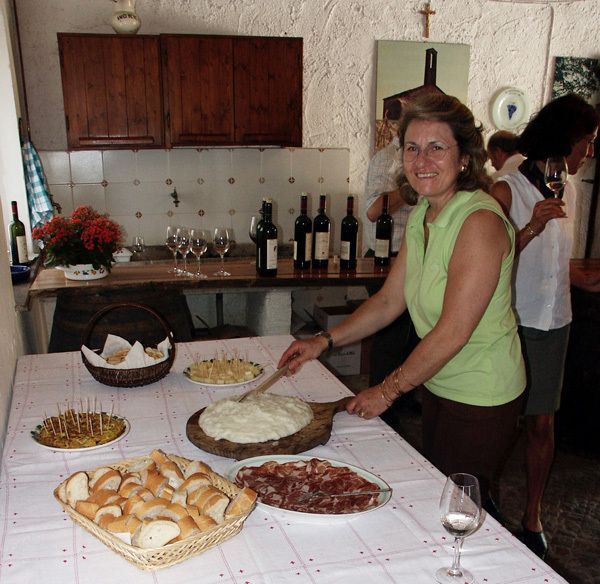 People are welcome to drop in at any time to see the family home and the cellar located directed behind the house, which was built by the Foffani family in the 14th century. 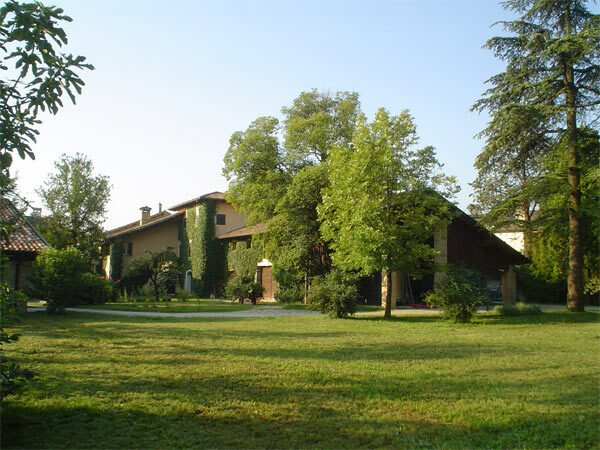 And the Foffanis provide a complete experience for their clients offering accommodation in their agriturismo and a very charming location for various events. At the end of a long day visiting the cellars, seeing the winemaking in action, or visiting one of the historic sights nearby, what could be more relaxing than sitting with a glass of wine and some local food? The Foffanis produce a selected range of aged red wines, mostly in large barrels to avoid an excessive influence of wood. Their range also includes classical Friuli white wines, rigorously made in steel, to preserve their fine original fragrances. The result is wine that is not only mentioned in the acclaimed guide "Gambero Rosso" year after year, but also drunk by top Italian fashion designers – and not just the Missonis. But as Elisabetta points out, wine and fashion share an overlap of language – vintage fashion and vintage wine to name just one example. Every year Elisabetta and her husband take part in the trade fair Colori dei Vini, the ‘Colours of Wine’ show. 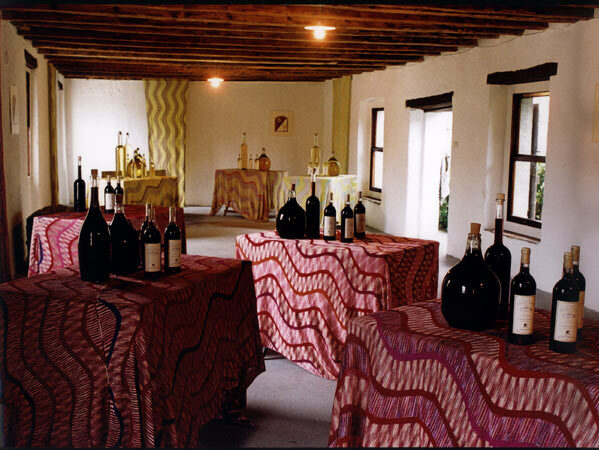 Emphasising the family ties, the tablecloths are exclusive knitwear designs by Luca Missoni and match the colours of the wines on offer.